In the immediate vicinity you’ll find the Blue Flag beach at Stroove strand and Sweet Nellie‘s beach, Greencastle. Donegal has no less than 11 Blue Flag standard beaches and those at Culdaff, Kinnago Bay and Lisfannon on Inishowen are examples of some of the most spectacular coastal scenery in Ireland. 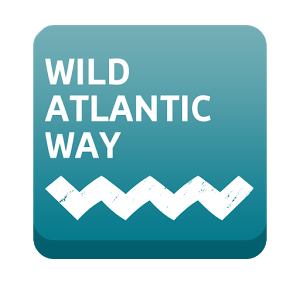 The house is located on the Wild Atlantic way. Walkers will love the many unfrequented trails and walks from the door of Dunagree. Why not take to the sea with a half day taster sessions or 1 day guided kayaking trip with Just Kayak. Just a few minutes drive from the house is Greencastle Golf Club, a beautiful 18 hole links course which nestles in the idyllic surrounds of the Inishowen Peninsula. The ferry provides a direct route from Greencastle to Magilligan in Lough Foyle. The ferry gives you a quick link to the Jurassic coastline of Northern Ireland. You land just a short drive to The Giant’s Causeway and The Mussenden Temple (See gallery).